Every 4-5 months we will be bringing two bright, enthusiastic, self-motivated, ambitious and funny individuals starting out on their career path into our small but growing team. You will be encouraged to own your role and your work will be truly counted. We’re all about collaboration, so expect to roll your sleeves up and get involved. It’s fast and fun! 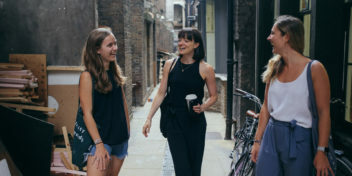 In your role you’ll be guided by, supported by and working alongside every member of our team; General Manager, Partnerships Lead, Learning Manager and Workshop Manager. We currently have openings for marketing and workshop internships, starting in September. Both job descriptions are available to download below. We build and run awesome spaces for a broad roster of professional startups and freelancers. 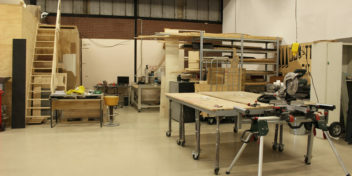 These combine co-working space with clean and messy workshop space, machines and tools. Really what we’re doing isn’t about the space though, it’s about people. Through our spaces we bring together people with all kinds of creative and technical expertise. Product designers, hardware and software inventors, fashion tech designers, architects, materials technicians, filmmakers, graphic designers, botanists, bicycle designers – the list is endless. Alongside their own work our members work together, play together and inspire each other. We run learning programmes from the Makerversity Amsterdam Learning Lab for young people to inspire the next generation of creative and practical minds and increase the diversity within the creative industries. 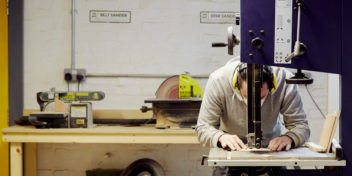 All Makerversity members have the opportunity to play an active part in these programmes and are encouraged to pass on their experiences and expertise to others. Using our in-house team and wider network we service clients through research & development, makerthons, hackathons, tech introductions, product development and manufacture. We are looking for a bright, enthusiastic, self-motivated, ambitious and funny individual. There is always something to do here so we celebrate initiative and teamwork. We welcome and reward relevant new ideas for the company that are successfully delivered – you are a self-starter and enjoy pursuing innovative ways to engage with you audience. We are a close-knit team who enjoy having a laugh while also cracking on with the task at hand – you don’t bend under pressure and know your key strengths. You have a keen eye for design and an attention to detail. You are entrepreneurial and love being ahead of the game. You excel at written and verbal communication. You love solving problems. Please send a copy of your CV and a covering letter highlighting how you meet the programme criteria. For each internship, we would also like you to send us a one-pager outline of a specific project that you would like to make happen at Makerversity. Please see the job description for more detail depending on the internship you’re applying for. All documents to be emailed to hallo@makerversity.org.